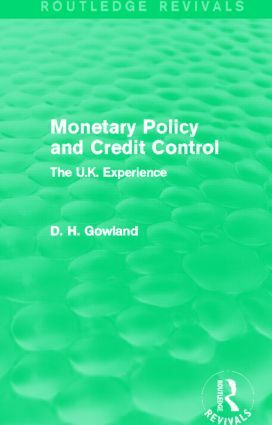 This book, first published in 1978, provides an analysis of British monetary policy and considers what techniques of monetary control were most appropriate to the context of the U.K. during the 1970s and 1980s. David Gowland answers crucial questions surrounding economic management in the period between 1971 and 1976, in particular whether rapid monetary expansion was the cause of the acceleration of U.K. inflation. With an analysis of the government’s experimentation with policy at its core, this is a unique study which will be of interest to students of monetary policy and recent British economic history.